I’ve had a very messy life, but there is one thing I’ve had to learn the hard way despite my stubbornness and willful pride: God is my only hope. My life has been filled with poor choices like drinking alcohol to the point of blacking out, neglecting my family, and smoking cigarettes for years not caring about damaging my lungs. 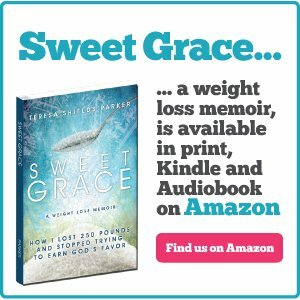 Add to that the fact I ate whatever I wanted (especially foods made with sugar and flour) in amounts that endangered my health, destroyed my self-esteem and jeopardized my witness for Christ. Many times I had the same response to a multitude of warnings I received concerning my poor choices. When I re-read the verses which came before that, I had an ah-ha moment. This passage shows that God is sovereign. Of course I already knew that, but what I realized is my free will was given to me out of God’s sovereignty. He didn’t have to give me free will. He is sovereign and can do whatever He chooses. Looking over my own life, I saw a loving Heavenly Father watching over me, while still allowing me to act on the free will He had given me. “God help me,” I cried out on October 23, 1983, when I came to out of a drunken, drug-induced binge with a black eye and bruises all over my body. I had no recollection what caused them. He heard that cry of my evil heart and answered it. His answer came in the form of a woman’s voice on a help line directing me to an AA meeting that night. After 18 months of struggling and trying to do it my way, total surrender of all alcohol and drugs finally came as the result of my poor choice of trying to commit suicide. The same scenario has played out in many areas of my life. I struggle to do it my way, work my plan, while even praying and asking God for help. Sometimes I wonder how one person can be so stubborn so much of the time. The definition of insanity is doing the same thing over and over expecting different results. That means if I make the same choices I have always made, I will get the same results I have always gotten. When it came to my eating issue and weight gain, I was in a dilemma. Unlike the substances of alcohol and drugs of abuse, I still had to eat. I can live without smoking cigarettes (and a lot better, I might add), but I have to eat. Unfortunately, I am addicted to sugar and things that quickly turn into sugar in my body just like I was to alcohol, which is liquid sugar. I have struggled with my weight most of my life. I have gone on every diet, took every pill, ate horrible combinations of food, starved myself and even lost weight. Then quickly rewarded myself for my success with a sugary treat only to have it all start over again. Almost two years ago after once again begging God for help, He heard my cry and answered me. 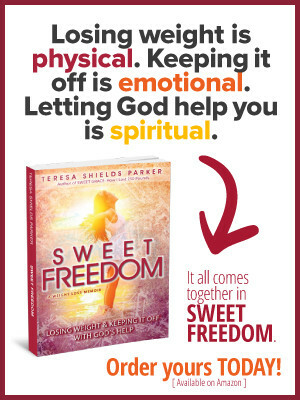 This time it was through a woman named Teresa Shields Parker who had written a book called Sweet Grace. 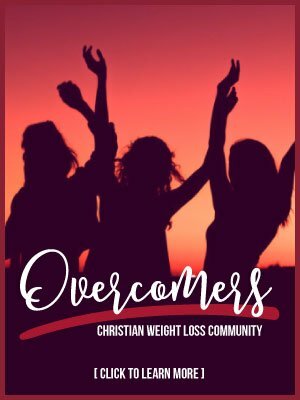 She has an amazing testimony of losing 250 pounds. One sentence caught my attention and turned my train around. 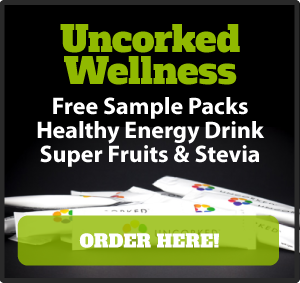 “Alcohol is one molecule away from sugar,” she said. 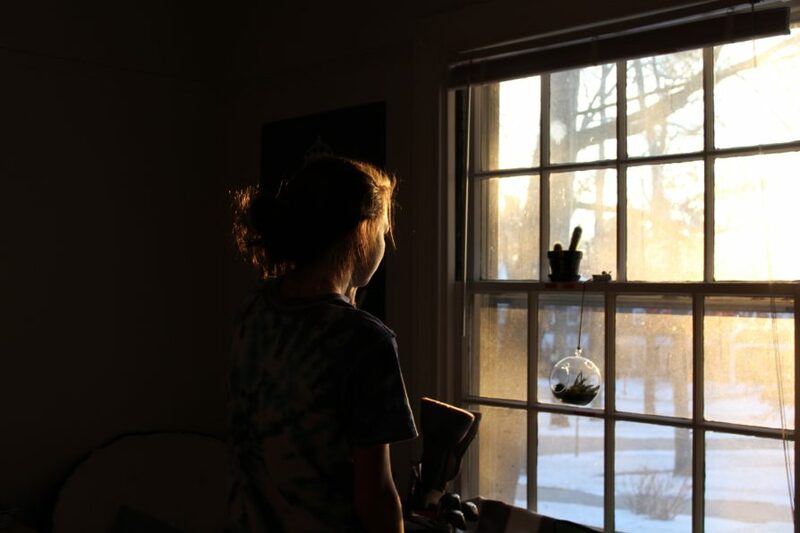 When I read that I knew I was no longer hopeless. God had redeemed me from the destruction of alcoholism and He could redeem me from the destruction of food addiction. I could now deal with the roots of my addictions if I was willing to surrender my body back to the Potter. So what does that have to do with God’s sovereignty? He could have just zapped me and changed me, right? What I now know is, He loves me too much to do that, even if He might want to. That is the key, not my will power, but my want power. He was always there waiting for me to choose Him over the lusts of my flesh and the idols I had put in His place in my heart. He wanted me to choose Him as enough. He sent His Son to make a way for me back to the Potter’s Hand. Ready to clean house? 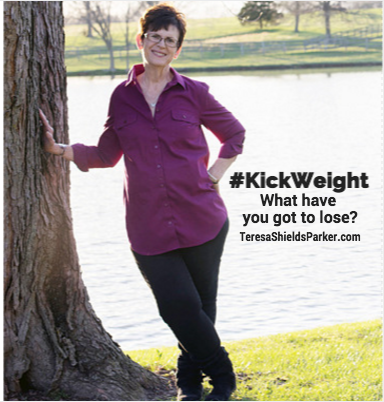 Join Teresa, Rhonda and others for the next session of #KickWeight. Classes will begin in October. Get on the waitlist now by going HERE. 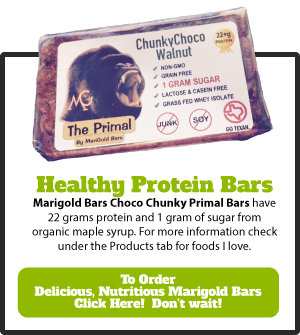 Or join our ongoing Sweet Change Weight Loss Coaching Group. It’s open now. Go HERE for more information about that group. 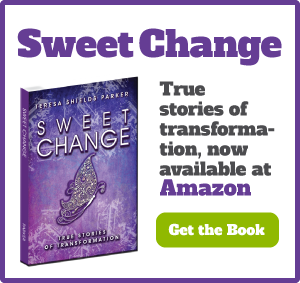 For more information about Teresa’s books, go to her Author Central page HERE.